Fire: Fight, Flight or Coexistence? Jack Shope recording wind velocity, Coweeta, 1952. Draining soil samples, at the Coweeta Lab, 1941. Ranger examining tree samples, George Washington NF, 1939. Research has been an important aspect of the Forest Service's work dating back to the early years of the U.S. Division of Forestry. It was Bernhard E. Fernow who began to lay the first real foundations of forest research during his time as Division of Forestry chief (1886-1898), producing numerous influential scientific reports. 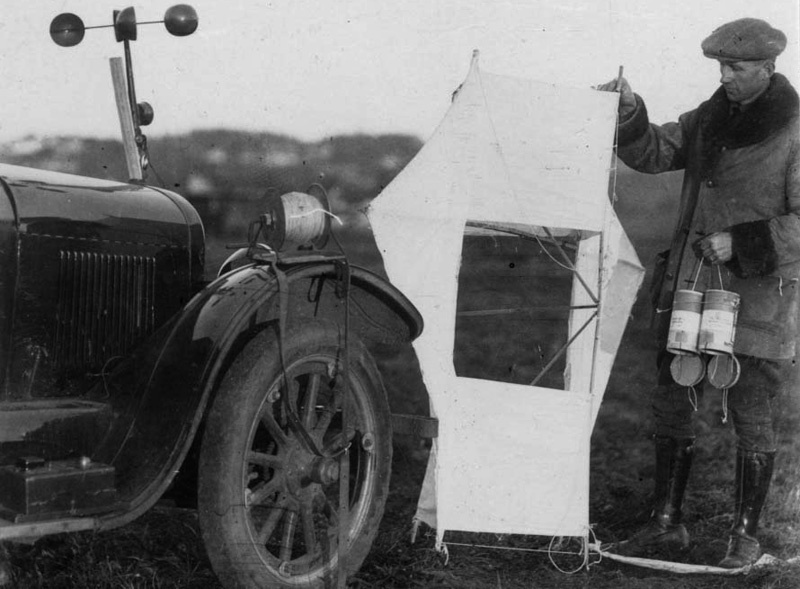 Research operations were further expanded following the inception of the Forest Service in 1905. Forest Service Chief Gifford Pinchot authorized fire research studies in these early years of the agency, as well as significant work in the area of forest management. In fact, the journal Forestry and Irrigation from December 1906 announced U.S. membership in the International Association of Forest Experiment Stations, a major recognition for the fledgling efforts. 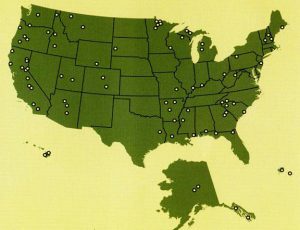 Locations of USFS experimental forests and ranges as of 2009. Image from "Experimental Forests and Ranges: 100 Years of Research Success Stories." Coconino Experiment Station (now Fort Valley Experimental Forest) began operation in Arizona in August 1908 as the nation's first Forest Service research facility. Over the next five years, five additional forest experiment stations would be established throughout the West. Gifford Pinchot's successor as chief, Henry S. Graves, continued to expand research work within the agency, opening the Forest Products Laboratory in 1910 and consolidating the various regional research projects under the Branch of Research in 1915, with Earle H. Clapp placed in charge. In 1921, the Appalachian Forest Experiment Station in Asheville, NC and the Southern Forest Experiment Station in New Orleans were established as the first Forest Service research stations in the eastern U.S. Seed dissemination testing, Vancouver, Washington, January 1926. The McSweeney-McNary Act of 1928 further advanced research within the agency, giving it a recognized separation from forest administration work. 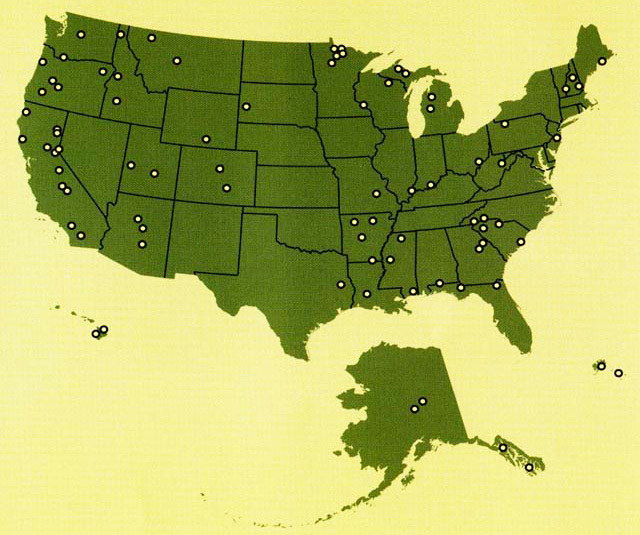 The act also led to the establishment of a full network of regional experiment stations to serve as centers of Forest Service research. Today, the Forest Service operates five regional research stations, as well as 80 experimental forests and ranges, and extensive research programs in all 50 states and U.S. territories. Through the International Institute of Tropical Forestry, the agency supports research around the world. Steen, Harold K. Forest Service Research: Finding Answers to Conservation's Questions.